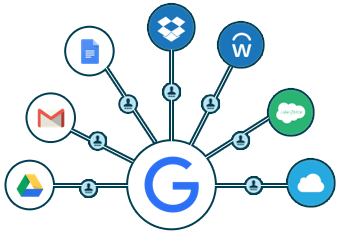 G Suite (formerly Google Apps for Work) is one of the hottest products in the IT market today. Google is now powering over 5 million businesses worldwide. Introduced in its earliest form in 2006, Google Apps started as corporate email hosting and then expanded to include productivity applications. The platform has made a significant impact on IT organizations. 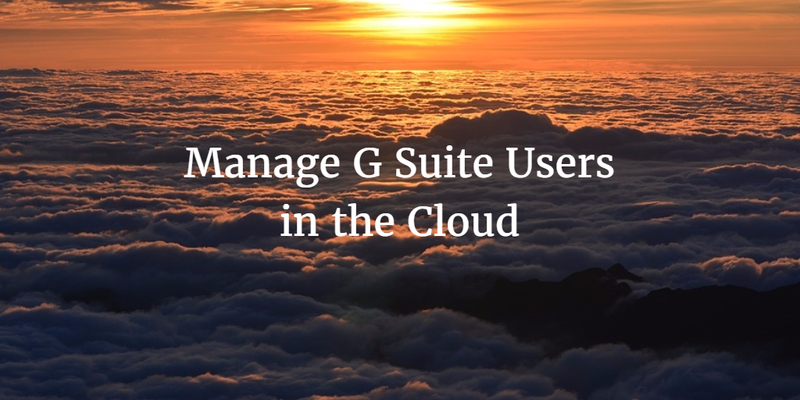 Yet there is a constant challenge regarding how to manage G Suite users in the cloud. Google started by replacing Microsoft Exchange with GMail. Then starting in 2006, Google took on Office with Google Apps. GApps thrived and, in 2010, Microsoft countered with Office 365. But, Google has yet to create a competitor for Microsoft Active Directory®. There is no core directory services solution included with G Suite. The truth is: Google didn’t really want to take on Microsoft Active Directory. Unfortunately, that means IT organizations are left with few options. They could manually manage their G Suite users. That’s okay when you just have a few users, but beyond 20 or so and it becomes a major hassle. Conventionally, the only alternative is a clunky integration scenario where they need to have another server sit between their AD server and Google. This is called Google Apps Directory Sync (or GADS). Neither of these solutions makes a whole lot of sense. Nobody really wants to manually manage all of their user access control. They don’t want to have something on-prem either, especially when the whole idea is to move to the cloud with GApps. 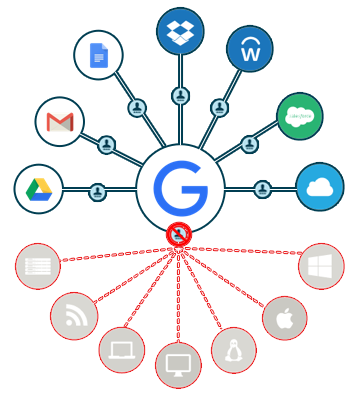 As a result, IT organizations often seek a cloud directory service to pair with Google Apps that can extend the authority and centralized control of a directory service to Google. That solution is called Directory-as-a-Service®. 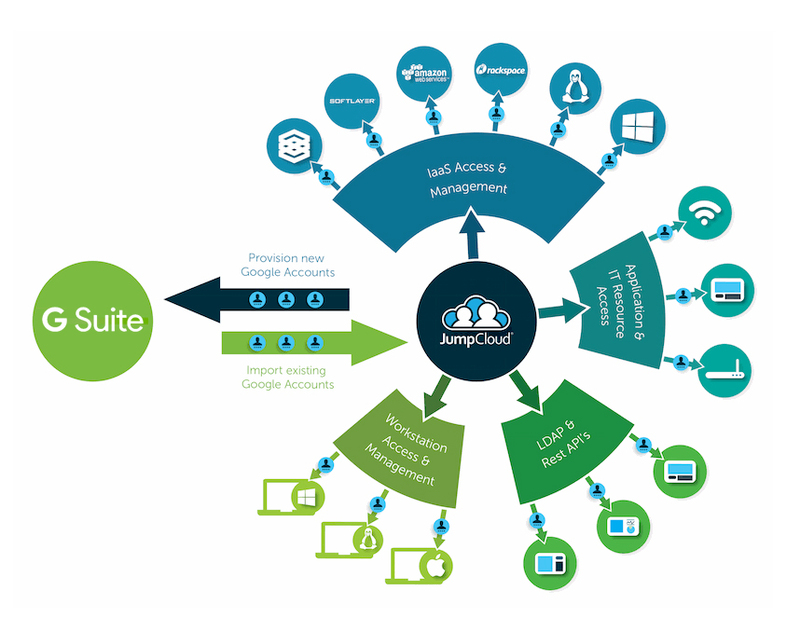 It tightly integrates with G Suite to enable the cloud identity management platform to provision, deprovision, and sync users. Onboarding and offboarding are centrally handled by the virtual identity provider. Specifically, a user is entered into the cloud directory and then the user and their credentials are federated to G Suite. It’s one place to create and provision users. Conversely, a user that needs to be deleted is also deprovisioned from the cloud directory. That user is then deleted from GApps and other services. Since the user is stored within the cloud identity management provider, that user can be provisioned on Mac, Windows, and Linux machines. Those machines can be located on-prem or in the cloud. Also, application access to LDAP-based apps and/or web applications can be easily controlled from the cloud directory service. WiFi authentication can be controlled via the onboard RADIUS functionality. In short, a Google identity can be federated to virtually any IT resource that an organization has. So, what are some of the benefits of this approach? There’s reduced friction and frustration from end users, a centralized user management platform for IT, and increased security and control. Managing Google Apps users from the cloud makes a lot more sense than manually managing them or leveraging the legacy solution Active Directory on-prem. Drop us a note to learn more about how you can implement Directory-as-a-Service for managing G Suite users in the cloud. 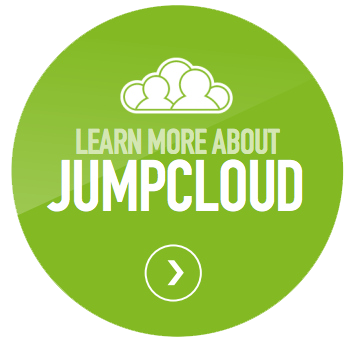 You may also sign up for a free account to integrate our cloud identity management platform with GApps for yourself. It only takes a few minutes to get up and running. Plus, your first 10 users are free forever.